Born in Sweden, experiencing the light from the north and the colour and culture from my Jamaican heritage, my multicultural and mixed origins have had a huge impact on my identity as an artist. 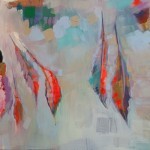 I have worked to create my own visual language that describes my own version of the world. Studying and working in London, Paris and Toronto have also defined me as an individual and therefore impact my perception of art and beauty. My personal style has developed since moving to Canada in search of colour during the winter months, as well as from having children. I discovered a process that is also full of light and bursts of energy from many layers of texture and paint. Each painting is derived from my imagination and inspired by my surroundings, from my belief in angels, and love of people and nature. As an artist my belief is that colour and light can heal and create a window in your space for you to look through and feel content, healed and energized. 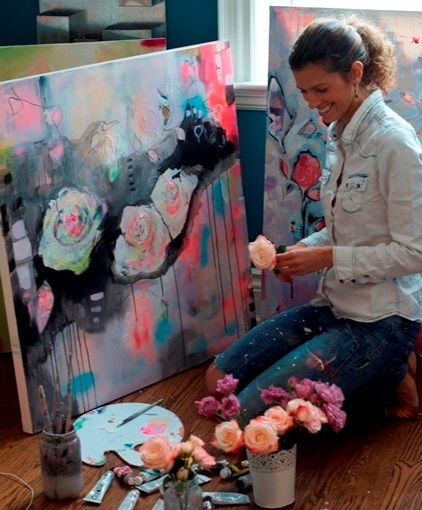 Michaela Nessim has been a full time artist since 2008 when she moved from London, England to Canada. 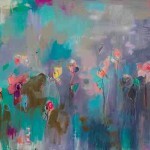 Inspired by her new surroundings she began creating abstract florals and landscapes. 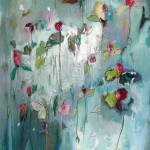 Michaela is a fine artist that paints with acrylic and oil on canvas. 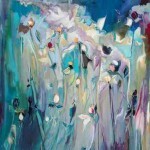 Born in Sweden, she has a fascination with light and its impact on emotion. 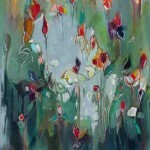 Her colours are also very vibrant due to influence from her Caribbean mother. Michaela studied art at Chelsea College of Art & Design (London, UK). 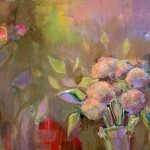 She also has her Master’s in Communication and she went on to take courses at the Beaux Arts (Paris, France). 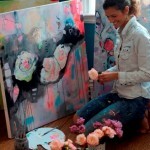 Recently, Michaela has attended painting classes at the AGO and at Toronto School of Art. She has evolved her own recognizable style over the years and partakes in many local shows. 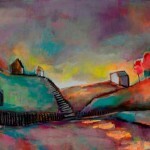 Michaela is currently a permanent artist at Artscape in the Distillery District, Toronto where she works in her studio. Michaela Nessim. Healing Landscape; 30 inches x 40 inches; Acrylic on Canvas.